A bullish pennant is the exact opposite of a bearish penant. It is a continuation pattern that marks a pause in the movement of a price halfway through a strong uptrend, giving you an opportunity to go long and profit from the rest of the price rise. Bullish pennants occur just after a sharp rise in price and resemble a triangular flag as the price moves sideways, making gradually lower highs and higher lows. The uptrend then continues with another similar-sized rise in price. 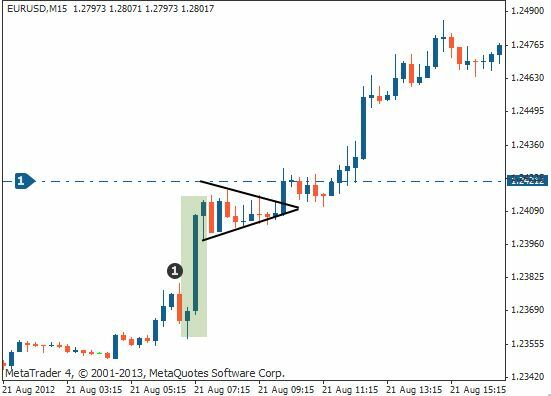 This lesson will show you how to identify the bullish pennant and look at ways you can use it to profit from the second half of a strong uptrend. A bullish pennant marks a pause in a price's movement, halfway down a strong uptrend. 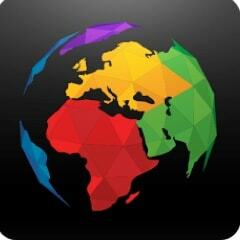 It gives you the chance to make a long trade, hopefully profiting from a second big price rise. As shown above, before the flag-like pennant forms, the price experiences a sharp rise. This is known as the pennant's 'pole'. The pole can represent either the start or the continuation of an uptrend and its size is important when you are calculating where to place the profit target for your buy trade. The triangular pennant itself is usually very small in relation to the size of the overall uptrend so this pattern can be hard to spot. With practice however, you will learn when to look out for it and how to recognise it. 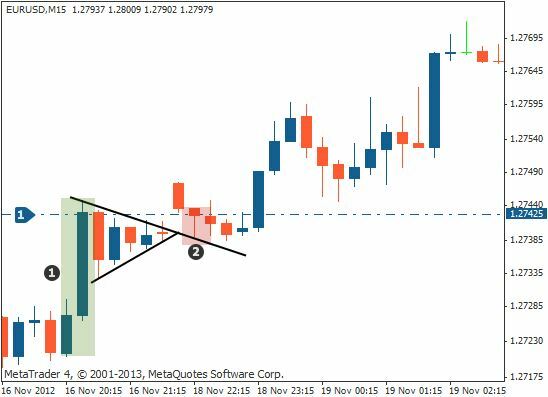 We will now show you two methods how to trade the bullish pennant. Enter your long trade as soon as a candlestick has closed above the pennant's upper trend line. Measure the initial rise in price (the pennant's pole) before the market started to consolidate. 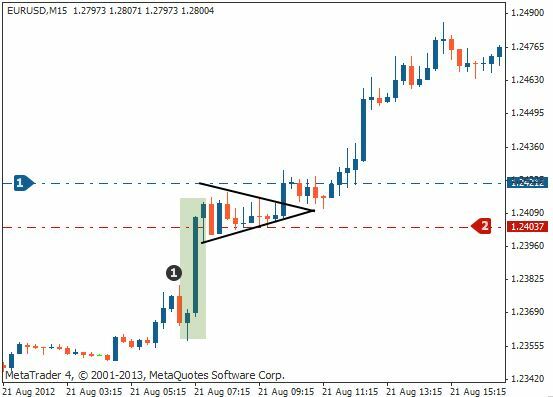 Then place your profit target the same distance above the pennant's breakout point. 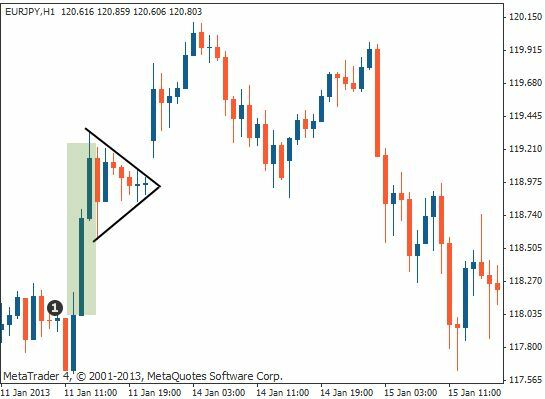 If, for example, the initial price rise was 50 pips in size, you should place your profit target 50 pips above your trade entry. 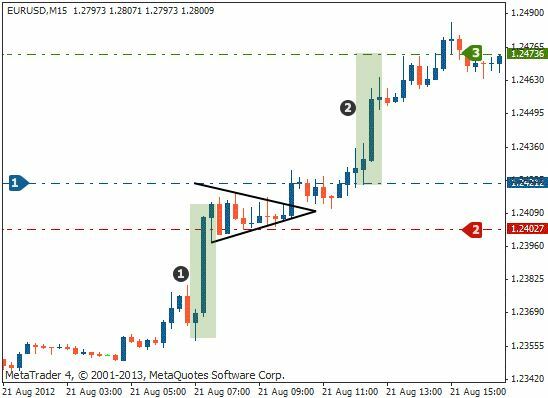 We will now show you a second method of trading the bullish pennant. As with method 1, wait for the price to rise above the pennant's upper trend line. Once this resistance has broken, place a buy order as soon as the price retests that trend line – the broken resistance will now become a support level. Then place your profit target an equal distance above the pennant's breakout (where you entered the trade). … the bullish pennant is a continuation pattern found in an uptrend – it alerts you to possible buying opportunities. … entry (buy order) takes place after the resistance level has been broken, either on a breakout or on a retest of the pennant's upper trend line. … the stop loss is placed below the opposite trend line. … the profit target is placed the same distance above your entry point as the height of the pole (the initial price rise).